Lighted Brass Arch For Gypsy Fairy Gardens. 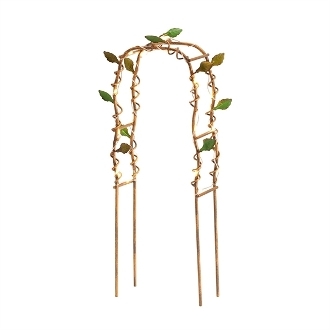 Full Description: Create a magical entrance to your mini garden with this lighted twig arbor. Battery-operated mini outdor lights are woven throughout.